As the most populous city in both the province of Ontario and the country of Canada, Toronto's status as a capital city can be a confusing matter for both new residents and for those who live outside of Canada. So, is Toronto a capital city? And if so, just what is it the capital of? The City of Toronto is the capital of Ontario, which is one of the ten provinces (plus three territories) that make up Canada. Toronto, however, is NOT (as you may have assumed) the national capital of Canada - that honor belongs to the nearby City of Ottawa. But many people do often assume Toronto is Canada's capital. Read on to find out more about Toronto's role as the capital of the province of Ontario. Sitting on the shores of Lake Ontario just across the water from New York State, Toronto is well-known as the Canadian city with the largest population. According to the City of Toronto website, the city has a population of over nearly 2.8 million people, with 5.5 million total in the Greater Toronto Area (compare this with roughly 1.6 million in Montreal, 1.1 million in Calgary, and eight-hundred and eighty-three thousand in the City of Ottawa). Southern Ontario, and particularly the whole Greater Toronto Area (GTA), is more densely built-up than other areas in the province. Ontario's economy was once heavily based on natural resources, and much of the land in the province is still dedicated to agriculture and forestry. But those who live in Toronto and the surrounding municipalities are more likely to be working in fields such as manufacturing, professional services, finance, retail, education, information technology, education, or health and personal services, just to name a few (see the City of Toronto's Key Industry Sector Overview). It's also interesting to note that Toronto is home to 66 per cent more artists than any other city in Canada. 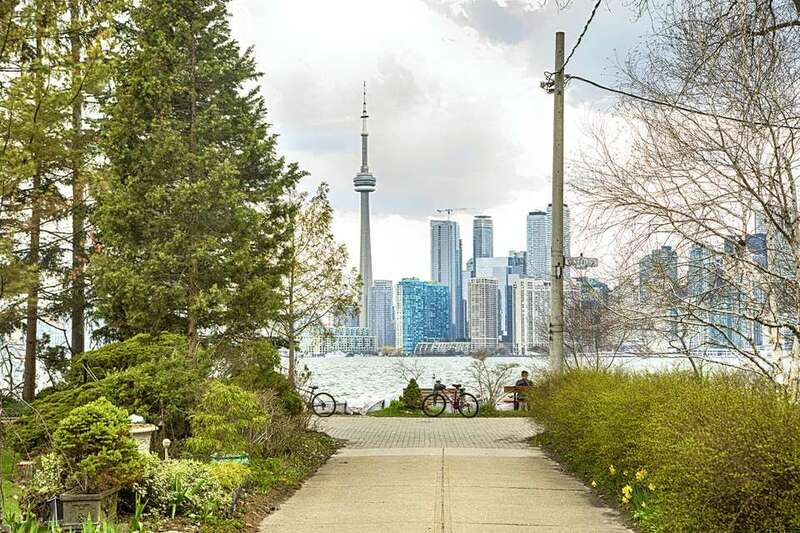 Toronto is also home to over 1,600 named parks comprised of over 8,000 hectares of land, 10 million trees (approximately 4 million of which are publicly-owned), 200 City-owned public art works and historic monuments, more than 80 film festivals, and over 140 languages and dialects are spoken in Toronto making it a truly unique and fascinating city with a lot to offer. The cosmopolitan city is also becoming more and more well-know for its culinary scene, thanks in part to Toronto's diverse, multicultural population, as well as a spate of creative chefs opening fantastic restaurants. As the provincial capital, the City of Toronto is home to the Legislative Assembly of Ontario. This is the provincial government of Canada, comprised of elected Members of Provincial Parliament (MPPs). Many of the elected representatives and staff members of Ontario's government work out of a central location in Toronto, found in an area south of Bloor Street, between Queen's Park Crescent West and Bay Street. The Ontario Legislature building is the most visually prominent of course, but government staff also work out of office buildings such as Whitney Block, Mowat Block and Ferguson Block. The Ontario Legislature building is located within Queen's Park, which is indeed a large green space in downtown Toronto. However the term "Queen's Park" is now used to refer to the park itself, plus the parliament building and even the government. The Legislative Assembly is found north of College Street at University Avenue (University Avenue splits north of College to become Queen's Park Crescent East and West, wrapping around the grounds of the Legislature). The aptly named Queen's Park station is the closest subway stop, or the College streetcar stops at the corner. The Legislature Building has a large front lawn which is often used for protests and events such as Canada Day celebrations. North of the Legislature Building is the rest of the actual park.